Look for the Call for Entries around mid-January. Expect the entry deadline to be the first week of March. This program is supported in part by a grant from the Gardner Cultural Council, which is a local agency supported by the Massachusetts Cultural Council, a state agency. The goal of this competition is to produce a design which promotes the Arts. Show off your creativity and provide GALA with a T-shirt that people can wear to show they love and support the Arts! There are no entry fees for this contest, but you must be a current GALA member. Please review the details in the Official Rules. Remember you must email & mail the Entry Form. 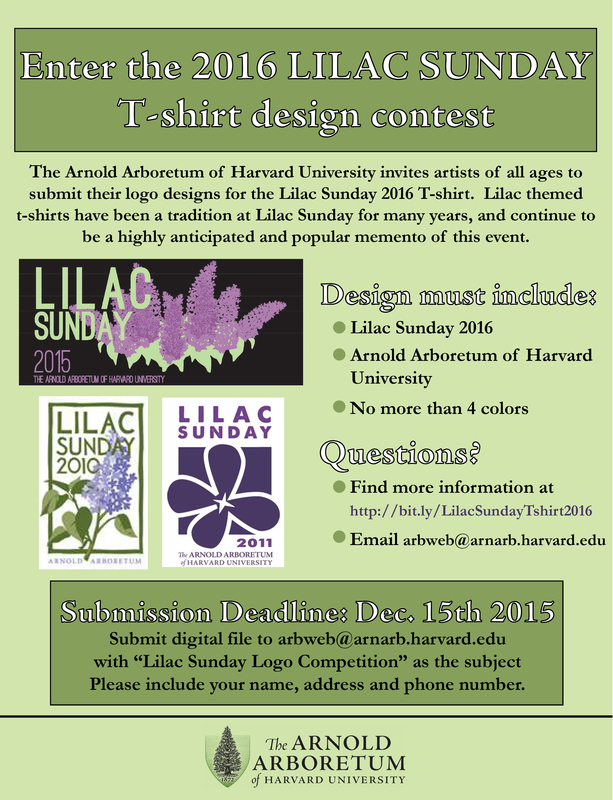 The entry deadline is Friday, February 19, 2016.
to an individual anniversary date cycle. 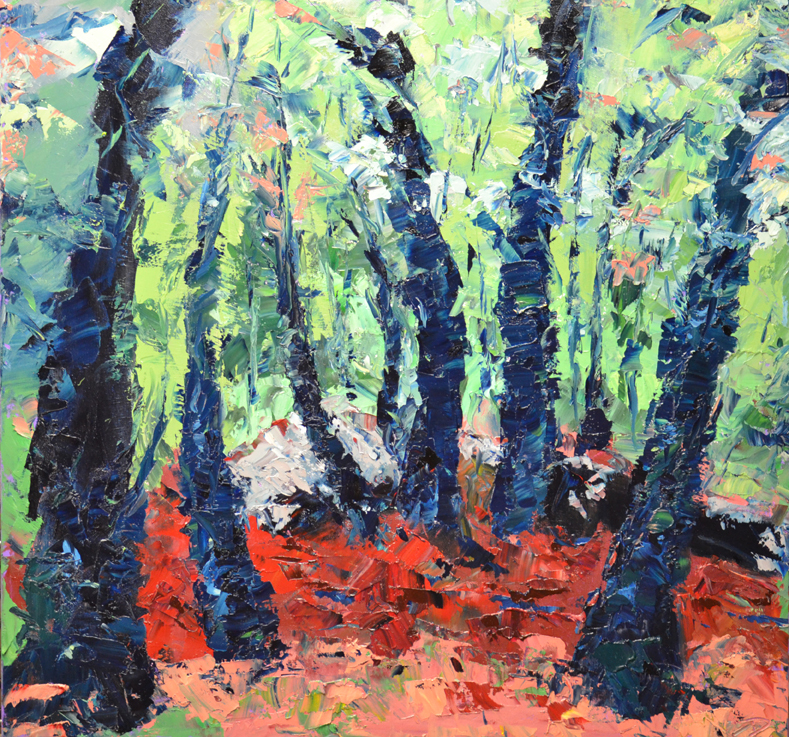 Doreen LaScola currently has works on display at the Workers Credit Union, 171 Main Street, Gardner, MA for the month of December as well as the Plein Air Show at Mountainside Market in Princeton, MA. 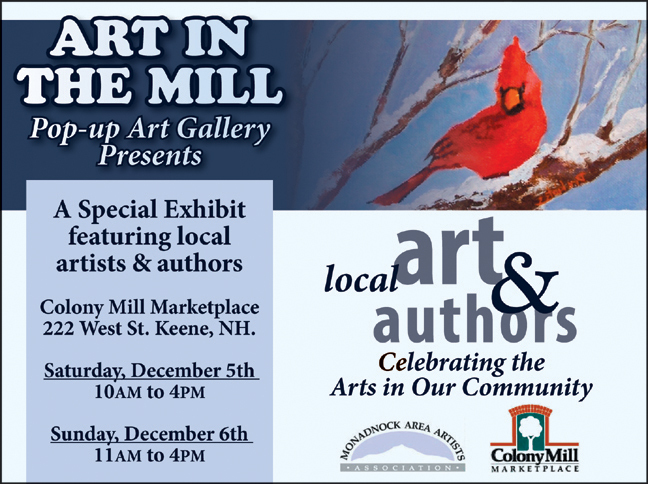 Colony Mill Marketplace, 222 West Street, Keene, NH onSaturday, December 5, 2015, 10-4 & Sunday, December 6, 2015 11-4. There will be many artists & authors on site offering a variety of items for your holiday gift giving! The photography of David Varone will be on display during regular business hours at the Center for Wound Care, Heywood Hospital, 250 Green St., Gardner, MA, for the months of December and January. David learned photography while in the service. He enjoys bringing home images from trips and has exhibited in GALA art shows with good results. His photography is for sale by contacting David at info@galagardner.org. joined the studio and other local artists are expected. At present, the studio is open on Saturday and Sunday 10 AM to 5 PM. A grand opening is scheduled for December 19th. The Johnson Carter Building is located at the intersection of Johnson and Carter streets. Interested artists should contact Sharon Thompson at (978) 549-1366. Moment - A video Exploration of contemporary video-based art practices. Digital and time based media have opened up seemingly limitless possibilities in how artists communicate their worlds. Featured artists include Anne Beal, Zack Bent, Kent Anderson Butler, Jacob Galle, Ron Hollingshead, and C.M. 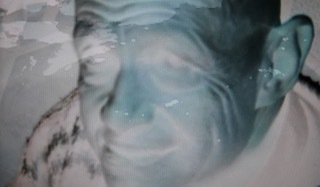 Judge who will be premiering her meditative video installation, Acqua Vitale. Opening reception: November 10, 2015 4-6 p.m.
Printmaking classes will be available for artists who are new to printmaking or those who are experienced and want to learn a new/touch up on a technique. The studio is open for workshop time rental, for those artists already experienced in printmaking. Please explore the website to find out all about it! Corinne will be selling prints and promoting Cherry Press at Art Walk Easthampton on Saturday, November 14, 2015 from 5-8 p.m. Come by for a chat! Corinne has a print featured in InVision 2D & 3D Landscape at Davis Art Gallery in Worcester, along with several GALA artists. The exhibition is up until January 8, 2016. Please contact Lisa at lisaregopoulos.com or 978-400-1151 for information on signing up. The classes are 2 1/2 hours long and are $100.00 for five weeks. Join us for the Open Show wine and cheese opening reception on Thursday, December 3, 2015 from 5:30-8:00pm. The show will be up to view until December 30, 2015. All artwork is for sale. Hours: Mon-Sat 9:30 a.m. - 5:30 p.m., Thursday until 7:00 p.m.
All levels of Drawing, Figure Drawing, Painting, Ceramics, Sculpture, 2D and 3D Design. Classes are open to majors, non-majors, and seniors (tuition free). Students 60 years and older are eligbile for a waiver of tuition and fees. Call 978-630-9270. 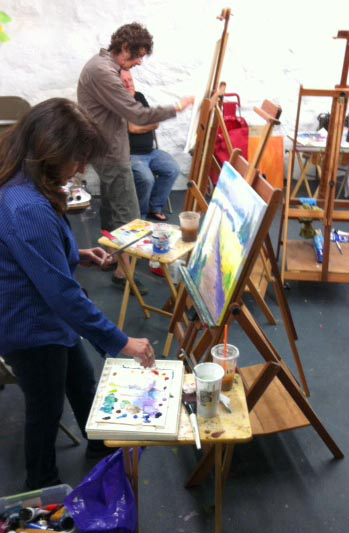 We offer a great selection of art classes for adults and kids. September 9 - December 6, 2015. IMAGE: K. Tyler, Untitled: Dust Storm Near Cemetery Road and HWY 23 (detail), Photograph, 40" x 40," Collection Danforth Art, 2013.113. New England Photography Biennial 2013 Purchase Prize. Registration for this workshop is happening now to ensure we have the minimum and to make Lisa's reservations etc. If you are interested, please send in your form & check as soon as possible. 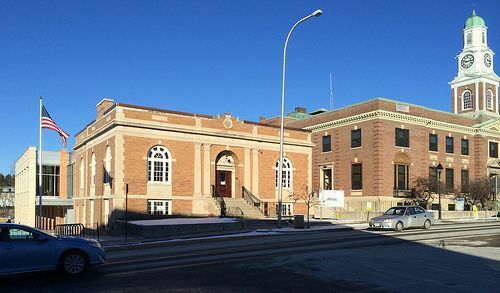 The Arts Alliance has quarterly exhibits at the Hudson Town Hall, so if you are interested in a solo exhibit of your work, contact Lyn Johnson at (978) 562-1646 or ljohnson@upwitharts.org. The Art Center Committee and the GALA Board of Directors is in need of someone who might be willing to sit in on meetings and take notes and write up minutes and transmit them electronically. Board Meetings are on the 2nd Wednesday of the month and other meetings are usually on a week night, monthly or as needed, negotiated with the members. GALA won Constant Contact's All Star Award 6 years in a row (2008-2014) for demonstrating best practices in the use of email marketing.